There was a time when golf was played in a very simple manner. Golfers used to carry a few varieties of clubs with them to the golf course and a few golf balls. Golfers used to depend on their own naked eyes to gauge the distance to the next flag. Gradually, things got more technologically advanced. In this modern era, golfers use rangefinders to find out the distance to the next flag. Due to the rising popularity of rangefinders amongst golfers, there are several manufacturers with their own version of such devices. 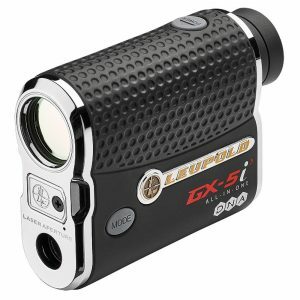 One of the popular rangefinders amongst golfers is the Leupold GX 5i3. One of the most accurate and versatile rangefinders in the market is the Leupold GX 5i3. It comes packed with several features, some of which have been discussed below for your knowledge. It comes with a 6x magnification, which makes sighting the next flag on a golf course extremely simple and convenient. Based on the slope, your hitting strength, and the available environmental conditions, the Leupold GX 5i3 also recommends you which golf club to use to hit the ball. However, this feature can easily be turned off in order to be used in any golf tournament. It comes with the PinHunter 3 Laser Technology, which is very simple to use and it gives you accurate and fast results. The Prism Lock Technology also allows you get an audible confirmation when it locks onto a target. It uses high-quality prisms to help you get accurate readings. The Leupold GX 5i3 also comes with DNA or Digitally Enhanced Accuracy engine along with advanced lasers to help the device get faster readings with an accuracy of 1/10 of a yard. The Fog Mode also helps the device cut down on false readings, which is extremely useful on days when there is dense fog on the golf course. It has a range capacity of 450 yards to the next pin and 800 yards reflective. It uses CR2 lithium battery and the lens is fully multi-coated. It has a one-touch scan mode and the rubber eyecups can easily be folded downwards. The use of high-quality prisms in the Prism Lock Technology is rather useful in getting accurate readings. 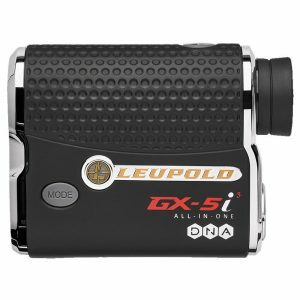 The Leupold GX 5i3 also provides a 6x magnification and recommends the right club to use to hit a shot properly based on the environmental conditions, slope, and your hitting strength. 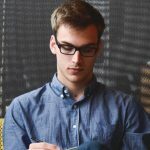 The price may be a concern for many users. The time taken to lock onto the pin may take longer than most other rangefinders in the market. For professional users, the feature that tells you which club to use to hit the next shot is rather unimportant. However, since the feature can be turned off, it is not a major issue. 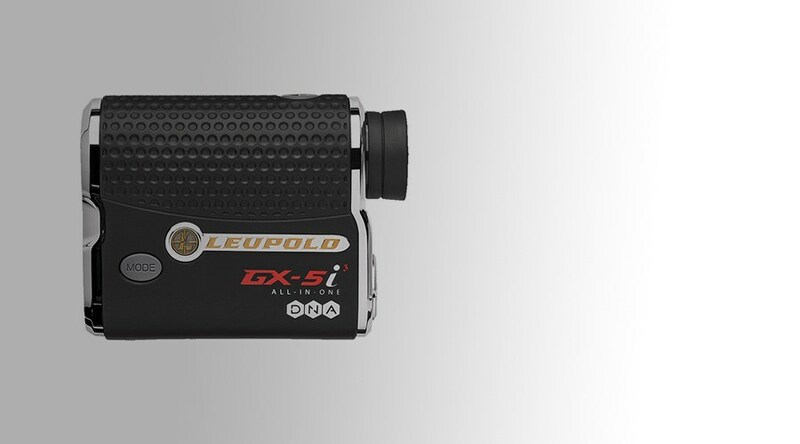 Overall the Leupold GX 5i3 is rather useful and a handy device to have around the golf course. Although it is a bit pricey, it comes packed with multiple features. For a cheaper option, you can also check out the review for the GX-4iA2 model.